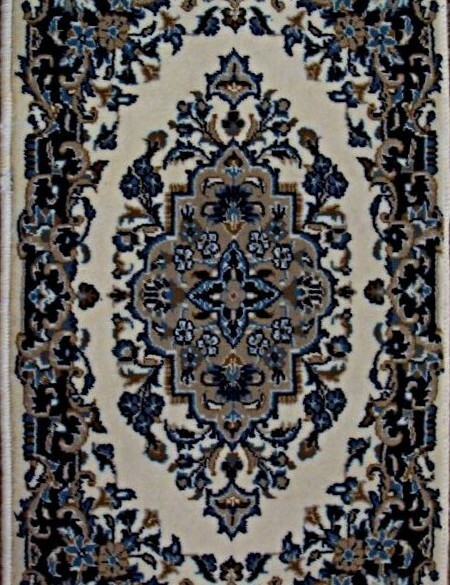 THE HOOK PILE RUG -First produced in early 19th century England. The British secret. A relatively modern style of rug manufacturing, hook pile rugs are believed to have been first produced in early 19th century England, according to renowned author William Winthrop Kent. How hook pile rugs came into being though is quite interesting, and compared to other handmade antique carpets, tell a unique story about an evolution of artistry among social classes. The materials for hook pile rugs were often gathered from leftovers, or thrums, given to their artists by local weaving mills who would otherwise have tossed them into a scrap pile. Yet, from these auspicious beginnings birthed a new way of handcrafting rugs, which was then perfected in countries outside of England, and most prominently the United States. Uniquely assembled when compared to other rugs of their time, hook pile rugs largely consisted of a canvas backing that served as the carpet’s warp and weft. 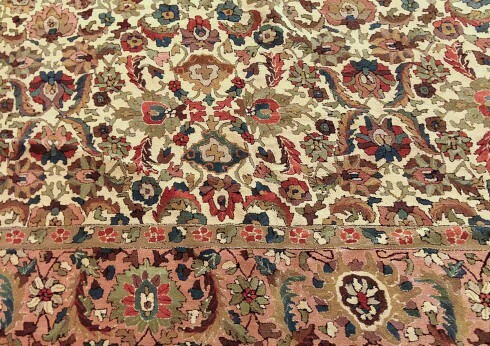 Through this pile was inserted a u-shaped piece of yarn or wool, typically placed by means of a tufting gun through the canvas backing, which set it apart from the knotting being performed on Oriental, Persian and Turkish rugs. Once the yarn or wool was set in place, it was then either left in its original condition, or sheared to a uniform length to create a hand-tufted rug. When left unshorn, hook pile rugs exhibited a suppleness many other types of weavers were unable to reproduce, largely due to the length of their pile and, in many cases, the quality of the materials being used, which were frequently gathered from mills or rug makers who sourced only the finest of yarns. Owing much to impoverished artists, hook pile rugs began showing up in North America soon after their origination in Europe. While machine-made and handmade rugs were being painstakingly created for the elite, it was the hook pile rug that was used as floor coverings in the homes of people with lesser means. Particularly among this class, the art was became enormously well-received rather quickly, and even perfected, rivaling the handiwork of rugs from Europe, India and the Middle East. Nonetheless, it took some time before they gained a positive reception from society at large. Even during the late 19th century and early 20th century, women’s magazines referred to the practice as a “country craft”, which was indicative of their unfamiliarity with these rugs’ slow but growing popularity among the more privileged classes. Nevertheless, their eventual popularity among all classes was already made certain. Though many tools were developed over the decades to aid in process of making hook pile rugs, the practice has mostly evolved in the past 50 years, particularly in the U.S. This also includes the types of materials being used by artists to produce hook pile rugs, as the backing has evolved from canvas to wool strips in finer, more modern iterations. Today, there are numerous exhibitions held annually dedicated to both modern hook pile rugs, which are generally manufactured using modern tooling, and those fashioned as they were in the 1800s. Interestingly, some of the most complex designs in the world of handmade carpets have stemmed from hand-hooked or hook pile rugs. Some have even found their way into permanent collections at museums here in the United States, as well as in Denmark where the art has flourished since the 1930s.